We work with a variety of delivery business models. Water delivery is one of the largest growing markets in the world. From businesses to homes, people love having clear drinking water delivered to their front doors. if you haven't optimized your company with Delivery Biz PRO's revolutionary water delivery software, you're missing out. Let customers register themselves and be automatically assigned to a route - establish their own order and frequency, set skip delivery dates, and view all of their own accounting online. With our ordering and delivery software, automated billing, optimization of routes, a driver app to fulfill orders on location, and other tools and data are at your fingertips. Even if you are doing commercial/wholesale delivery, we can handle it. 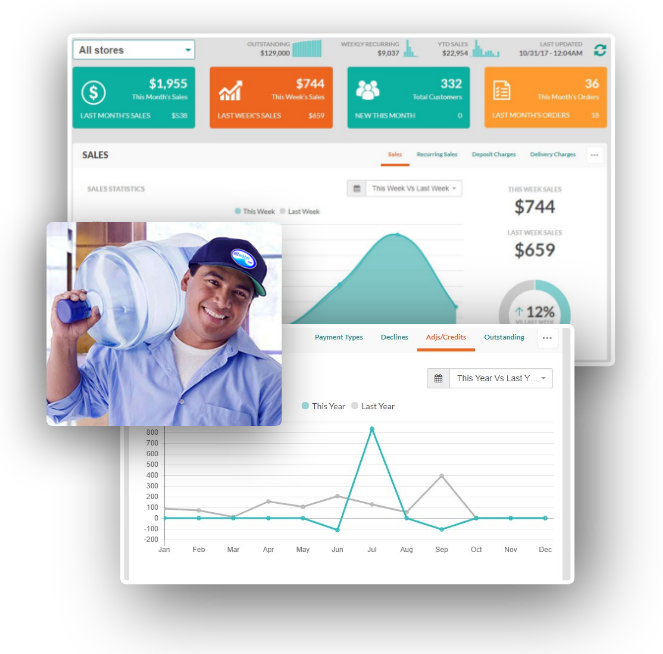 With our water delivery software, you can create as many different price points as needed and offer consolidated ordering views based on the customer’s needs. From small, local organic produce start-ups, to full scale grocery delivery corporation, our team and software is an ideal match if you're looking to grow exponentially!